Christopher J. Wilson Dip Eco (Cork), was born in 1946 and educated in Africa and England. After an early career as a policeman in London, he moved to Ireland to further his ornithological interests. He worked at the Cashel Palace Hotel, Co. Tipperary, until his employment in 1991, by the National Parks and Wildlife Service, as Warden of Ireland�s premier �Wexford Wildfowl Reserve�. 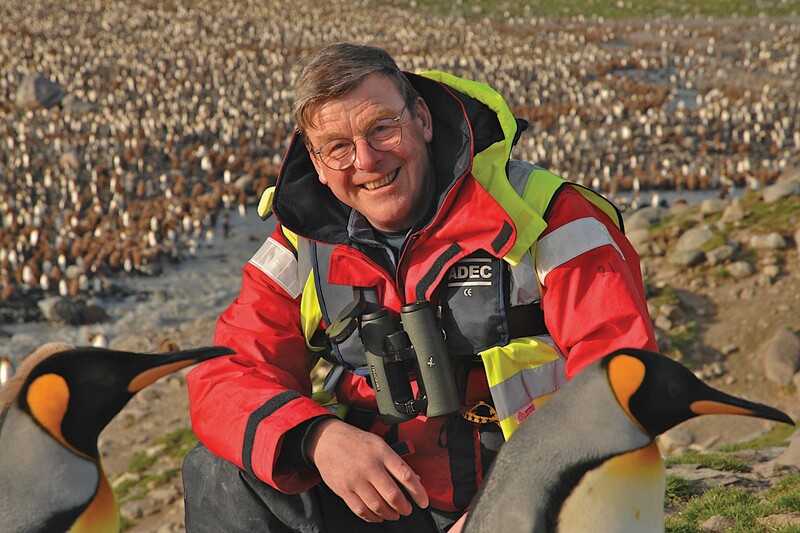 He travels widely and lectures on the birds and wildlife of Antarctica, Ireland and South Australia. He is a popular Irish broadcaster. Last November my brother, Dr. David Wilson, and I launched a new book on the artwork of our Great Uncle, Uncle Ted, better known as Edward Wilson of the Antarctic. The book, �Edward Wilson�s Nature Notebooks�, has been published with a view to showing the much fuller picture of Ted�s outstanding talent, his artistic and naturalist development and then placing it in the context of his more famous and renowned Antarctic water-colours. In Part Two of the book � �Ireland: 1905� - there are displayed, with some other Irish works, a number of Co. Kerry landscape watercolours and pencil drawings, thought by the Rev George Seaver, Ted�s biographer and late of Greystones, Co. Wicklow, to be amongst his finest works, displaying �the charm and glamour of the Celtic twilight�. This August is the centenary of Ted�s visit to the Dingle Peninsula, Co Kerry. So how was it that this famous Antarctic scientist, artist and explorer, who died with Captain Robert Falcon Scott (RN) eleven miles from safety, during their 1910-1912 Terra Nova Antarctic expedition, came to be in Co. Kerry during 1905? To answer that question, one has to go back to the circumstances prior to this particular holiday. Ted had just returned from a very successful three year Antarctic expedition aboard HMS Discovery with Captain Scott. Only three weeks prior to heading south in 1901, he had married his fianc�e, Miss Oriana Souper � their honeymoon was spent preparing for his departure. He and Ory were very happy. On their return to Britain, the expedition team and its achievements were greeted with wide acclaim. Ted, as with others in the team, was in great demand for a host of almost endless social engagements. Despite this, he was soon hard at work preparing for the Expedition�s public exhibition in London. This was such a success that there followed on a tour of a number of towns throughout Britain, with much interest being taken in Ted�s paintings. This culminated in Ted agreeing, rather innocently, to producing over 80 watercolour copies, which took six months work to complete. He also undertook to write and illustrate the report on the birds and mammals for the 1901-04 Expedition. However, before all these projects began in earnest, a plan had been hatched by Uncle Ted�s parents for a full family holiday in the West of Ireland. The Wilson family had a tradition of such holidays, during which the time would be spent largely in picnicking, reading, sketching and natural history collecting � many of these holidays had been based in Wales. Although it wasn�t realised at the time, this was to be the last such family holiday. But how and why was this particular Co. Kerry location selected for the 1905 holiday? So back to that Wilson family Co. Kerry holiday of 1905. Ted�s parents had taken a house, appropriately named Sketcher�s Cottage, at Inch on the Dingle Peninsula for the whole month of August. Ted, although instructed by his parents that this was to be a total holiday, took with him various works to complete. They probably arrived in Queenstown, now known as Cobh (there are some period photographs of Cork City in the family photograph album) and then travelled by train to Killarney. The final part of the journey was made by pony and trap. Sketcher�s Cottage overlooks Inch Strand and Dingle Bay. Here the family settled into the cottage and very quickly were enjoying the local wildlife. A family photograph shows that, not long after their arrival, the party were greatly excited to spot grey seals basking on the rocks. Many of Ted�s sketches that he made at this time were of immediate use as preparatory material for his illustrations of the British birds and mammals. His landscapes, sketched and painted at this time, are so real; a natural, beautiful and visual record of what these landscape scenes were like and also a brief visual record of the family�s time in and around the Dingle Peninsula. Ted was relaxed when he painted them, a mood he was rarely to enjoy with his painting again. He had gained a great deal of experience as an artist since the last time that he had painted for relaxation and he revelled in the freedom to indulge in these skills whilst at ease on the beach. These landscape sketches show that the holiday was spent exploring much of the general area. Pencil sketches and watercolours of the Annascaul locality show that the family must have spent time around this particular village. Today, of course, Annascaul is home to the South Pole Inn, purchased and named by Tom Crean on his retirement from his own amazing Antarctic explorations. When visiting the Inn in the village and seeing Antarctic pictures on its walls, with the photograph of my Great Uncle and many of his Antarctic watercolours on display, I can�t help but wonder about the origins of this particular Wilson family holiday! Certainly, with Annascaul being the home of the Tom Crean Society, the South Pole Inn and its links with the Heroic Age of Exploration, the village green with a sculpture of Tom Crean and simple limestone seats � one dedicated to Ted himself � could that holiday really have been an amazing coincidence? We will never know, but it is rather fun to speculate. As an artist Edward Wilson, who only ever thought of himself as an amateur � always wishing for professional training - will probably go down in history as a major painter of exploration art. With his passing, the recording of exploration moved to photography. This August, exactly one hundred years from when these Kerry landscapes were painted, there is to be a presentation, of eleven of these stunning watercolours, to The Kerry County Museum, Tralee. These original works will be back home in Co. Kerry where they belong, available for viewing by future generations. About the Author Christopher J. Wilson Dip Eco (Cork), FZS is the great nephew of Dr Edward A. Wilson, who died with Captain Scott and his party on their return from the South Pole in 1912. He is widely travelled, having spent time on all the continents of the world and has completed eight full seasons in Antarctica having first travelled to that Continent in 1999 on the Antarctic Circumnavigation. Born in the UK, he was educated in both UK and Africa, was a London policeman for 16 years and moved to Ireland in 1981. He completed a Field Ecology Diploma at University College Cork in the mid 1990s. Currently he is self employed as an Environmental Consultant based in County Wexford, Ireland specialising in field survey work (particularly birds). 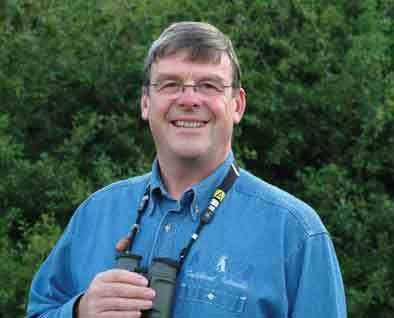 A highly respected ornithologist with over thirty-five years of bird ringing experience, in Ireland, UK and Australia, he includes in his scientific accolades the organisation of staff and volunteers in numerous ornithological surveys of national and international importance. Before taking early retirement in 2007, Christopher worked for the National Parks and Wildlife Service, for 16 years, serving as warden of Ireland�s premier wildfowl reserve, �Wexford Wildfowl Reserve�. He regularly contributes to a wide number of wildlife magazines, makes radio and television programs and featured in a half-hour television wildlife documentary on his work as a wildlife warden. He is an accomplished photographer contributing to numerous wildlife books. His own publications include: �High Skies � Low Lands, An Anthology of The Wexford Slobs and Harbour� (1996); �Wildfile � A Guide to Irish Wildlife� (1997); �Wildlife Quiz and Amazing Facts Book� (1999)- with a second edition (2002); �Edward Wilson�s Nature Notebooks� � published in November 2004 and �The Lepidoptera of County Wexford� (2009). Christopher lectures extensively on birds and wildlife and is the current chair of the Wexford Naturalists� Field Club. He states that his personal motto of �Birds are my Passion, Wildlife my Nature� actively describes his interest, love and passion for our environment and its biodiversity.